Oh, Lord help me, cause I can feel my money leaving my wallet the longer I look at these. 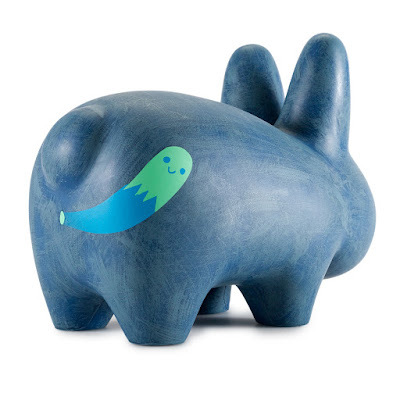 Some phantom hand has reached in and lifted my credit cards from their place of rest and is attempting to type all of their digits into various websites, ordering the fine Labbits you see before you. I am but a man; too weak to resist such temptations when laid before me. 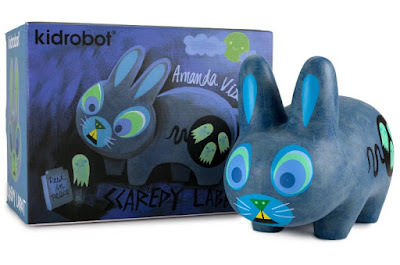 Kidrobot knows I love Labbits. Frank Kozik knows I love Labbits (it's detailed on the restraining order). Amanda Visell may or may not know that I love her work. Now all three of them have colluded to create this amazing hunk of plastic in not one but two different versions!!!!!!!! 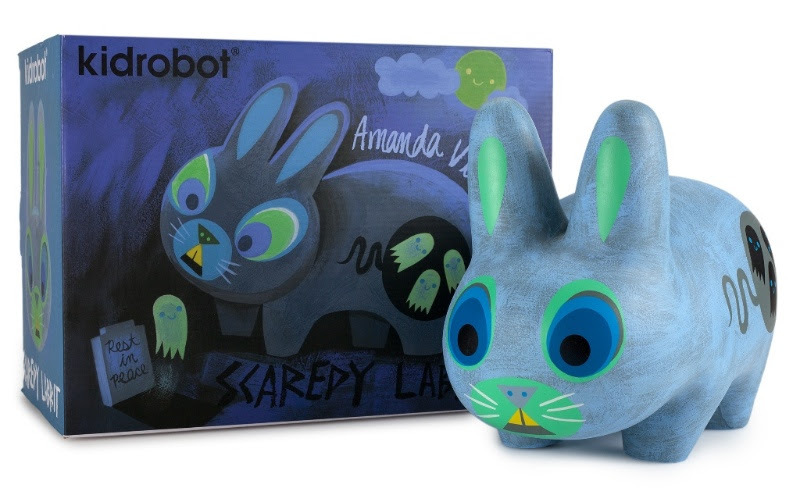 The dark blue version you see above can be had as we speak from your favorite toy retailer, while the light blue one you see below will be an exclusive to www.kidrobot.com sometime this month. Ghosts are just like corn!!!!!! So don't bother eating them, because like their vegetable cousin they come out just the same as they go in. You won't learn stuff like this on TMZ.